I wanted to really experiment with my recipe. I decided to try to test out making a beer simple syrup using this great Gizmodo article. 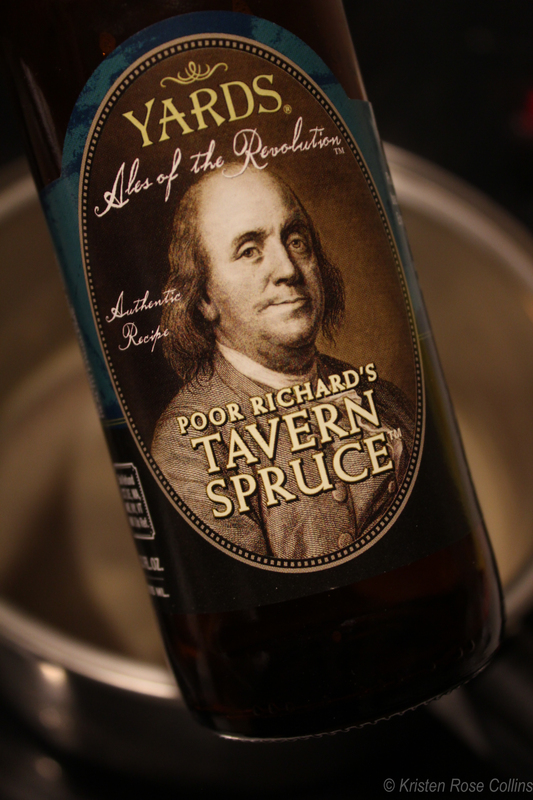 So, with the Wooly not yet in season, I found the delicious – and patriotic – Poor Richard’s Tavern Spruce Ale. This beer has both molasses and spruce notes, so I hoped it would make the perfect syurp for a resin-y cocktail. 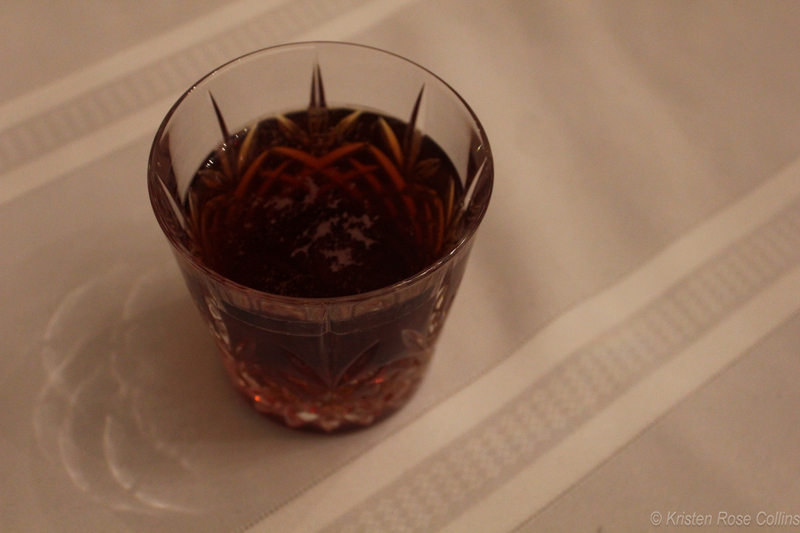 Unfortunately, while the simple syrup turned out tasty in its own way, it tasted more like molasses than spruce. It just lacked the crispness I was imagining for my winter libation. I tried making a simple version of a gin and tonic with it, and it was just…blah. Verging on awful, in my opinion. Someday I’ll make something great with it, but not tonight. Fortunately, in trying to think of a good name, I found inspiration for the recipe I am sharing with you. It’s still pretty simple to make, but tastes super unique. As with most things, “spruce” sparked a memory of The Simpsons. In the fifth season episode, “$pringfield (Or, How I Learned to Stop Worrying and Love Legalized Gambling)” villainous mogul, Montgomery Burns, mimics Howard Hughes, and builds a miniature wooden plane, the “Spruce Moose” – a riff on Hughes’ large wooden “Spruce Goose” plane. At first I thought the name could be appropriate because I hoped to create a cocktail that would pair well with holiday meals, like a Christmas goose. But when my syrup failed, the reference to aviation gave me a new inspiration. And thus, I came up with a riff one of my favorites, the Aviation. Please check out the amazing submissions at the Booze Nerds Resin Roundup. My mind is blown with how many ways you can incorporate “resin” into a drink. 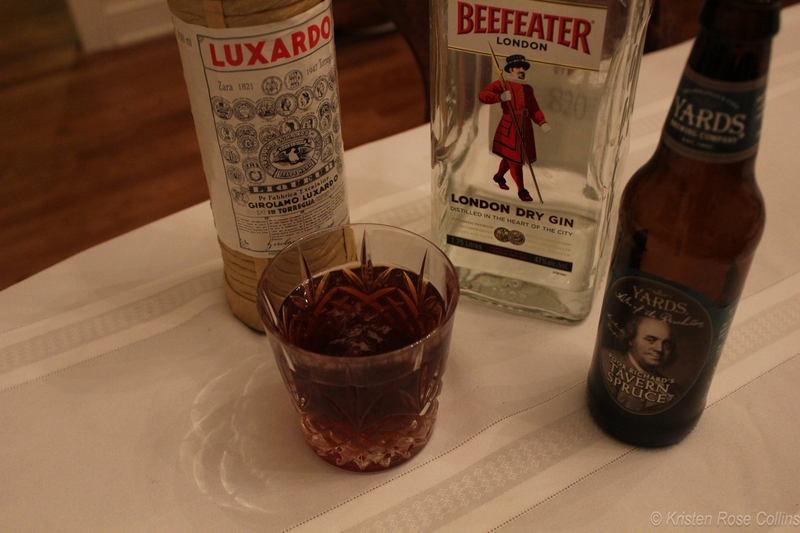 Pour the gin and liqueur into your glass of choice, and top with ale. Stir a little to mix and voila. I prefer mine at room temperature because the taste is unexpectedly reminiscent of mulled wine, or maybe a nice grog. Cherry liquor and gin punch the palate with tartness and dryness up front, but the spruce of the ale lingers soothingly behind.